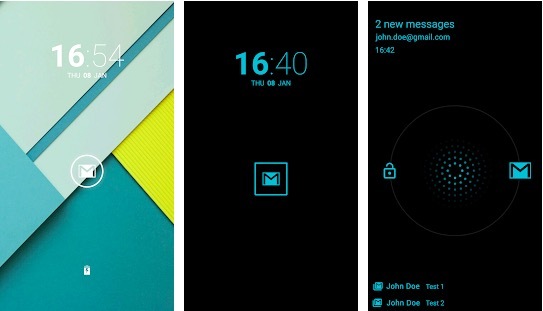 Notifications are the most essential feature on Android or for any Android device. Notifications give you updates from various apps, so you don’t miss anything important. 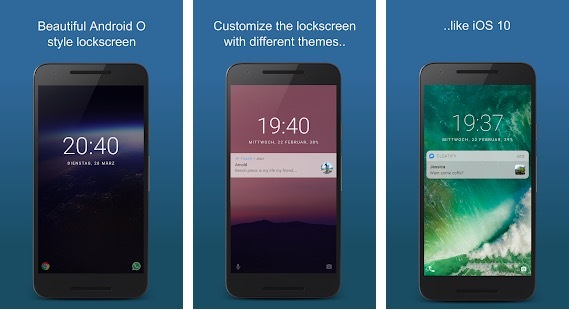 With each iteration of Android, Google is trying to improve the notifications. But with the Android operating system, you have the freedom also to modify and customize push notifications on your Android smartphone. So, there are lots of notification apps that improve the notifications experience and give you the freedom to get it the way you want. Basically, these notification apps are for smarter notification. 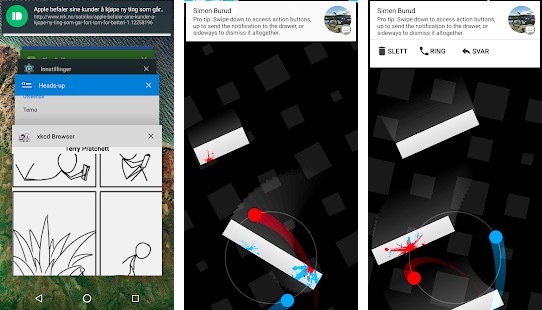 So, here are some of the best notifications apps for Android. Heads-up Notifications is a feature rich notification app that displays notifications as a floating popup. You can access the full test and even reply directly from the notification. You can filter apps, set notifications priority or block an app from sending notifications. The app also lets you customise the notifications by offering options for font’s size, opacity, and notifications position. There is also themes option. The app doesn’t asks for internet access permission. So, there is no way it can send your data to any server. The app is also available in over 20 languages to be available for masses. Another important thing about the app is that it is open source and any one can contribute to make it better. Snowball notifications app is another good app to manage notifications and hide annoying app notifications with a single swipe. The app always shows important notifications at the top so you don’t miss any. You can reply text message notifications directly from the notification. You can block unwanted apps from sending you notifications. The app is not available from the Play Store, but you can download it from its official website. This is also a good notification app that keeps you updated about notifications even when the screen of the phone is off. 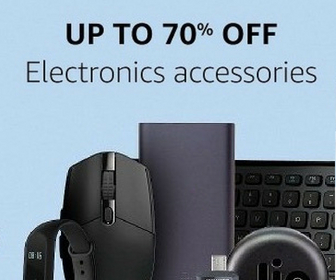 It also understands when your phone is in the pocket or is face down and doesn’t light up the phone. You can select the apps that you want to send notifications. The app also has the option to change the appearance by customizing foreground color, background color, image, and main notification border style. There is also a premium app that offers more important features like night mode, Hide additional details, Auto Wake or Use as lock screen. But the free version of the app also works well. 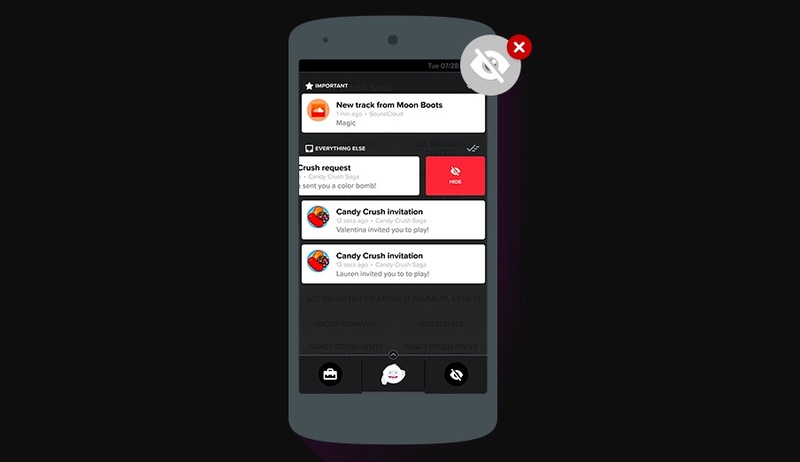 Shouter is a different kind of notification app. As the name says, it shouts the notifications, means it reads your notification. So, it is good when you are busy or too easy to read your messages. If someone is calling you, it also shouts the caller name to notify you about the caller. The app also announces battery level while charging along with Battery and Charging State. It also shows voice reminders. This notification app is good when you are driving. Caller name announcement helps you pick whether you need to stop for picking the call or ignore. Like other apps, this one also comes with several customization options. Check the settings menu for all options. 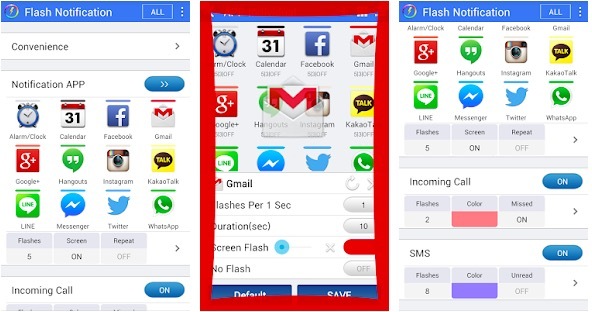 Flash Notification 2 is also a different kind of notification app that uses flash of your camera for notifications. The app draws your attention by lighting the flashlight of the phone. When you receive the notification, the flashlight of the phone will block to notify you. You can custom several things. You can select the duration, and color of your notification. You can select a different color for App Notification, Incoming call, and SMS. It can also use the screen as flash when there is no camera flash on the phone. Asus Message center is also a good app to manage your notifications, messages, contact and call records. The app is an all-in-one app that also offers notification management. The apps groups your WhatsApp messages, emails, SMS, missed calls, and various social apps. It also shows the number of unread messages over the app icon. You can reply directly from notification pane without visiting the app. Floatify gives you mini heads-up notifications whenever you are in full-screen mode and can’t slide the notification panel to check with some of the new notifications. Its Direct Reply lets you pick predefined replies, which you can help you to tap to send instantly. It also allows instant replies or marking them as with the ‘read’ from the notifications without having to open any of the apps. It works with some of the major messenger apps like Skype, WhatsApp, Telegram, WeChat and more. 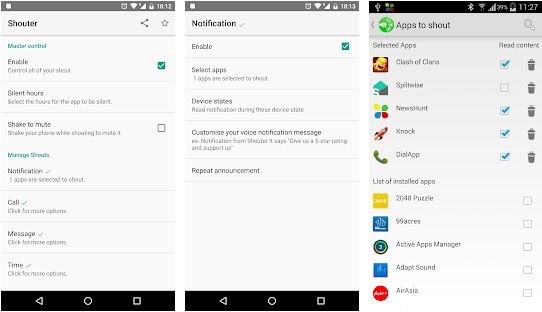 Now you have a list of good notification apps for Android that gives a different way to handle notifications. This is the beauty of Android that gives you the flexibility of keeping the things the way you want. You can try these notifications app and see what works well for you. If you also know any good notification app, you can let us know using the comment section below and I will surely try the app to see where to fit in the list.